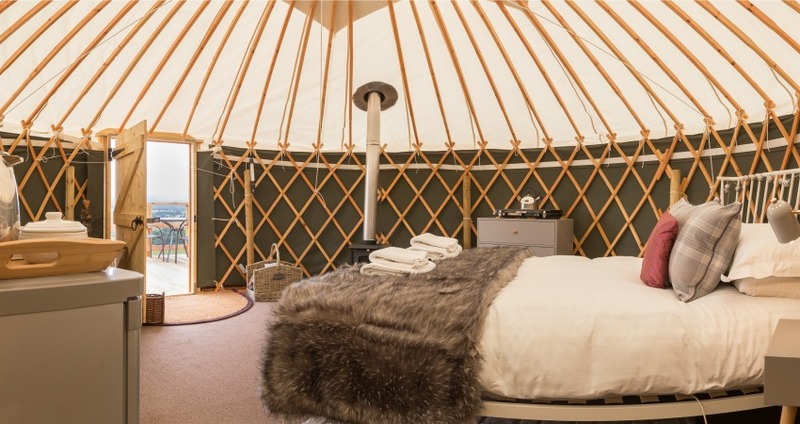 We offer glamping onsite - two luxury Yurts with ensuite bathrooms (available all year round) and 5 Bell Tents. 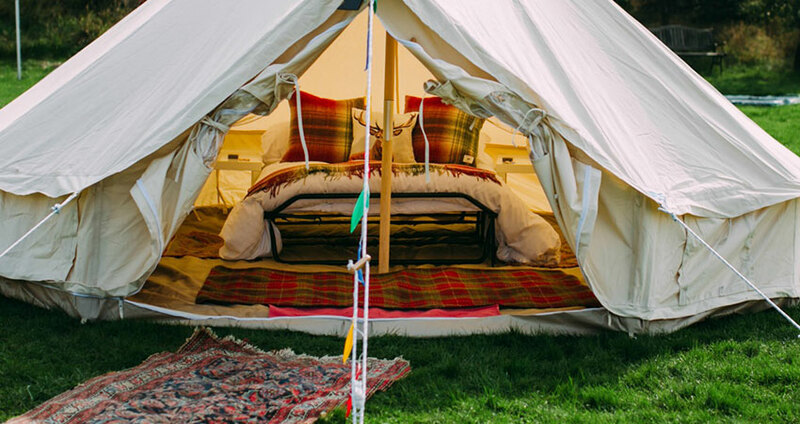 Glamping can easily be combined with a wedding stay at Alexander House, for your guests - perfect for festival style weddings, or extra large group accommodation. 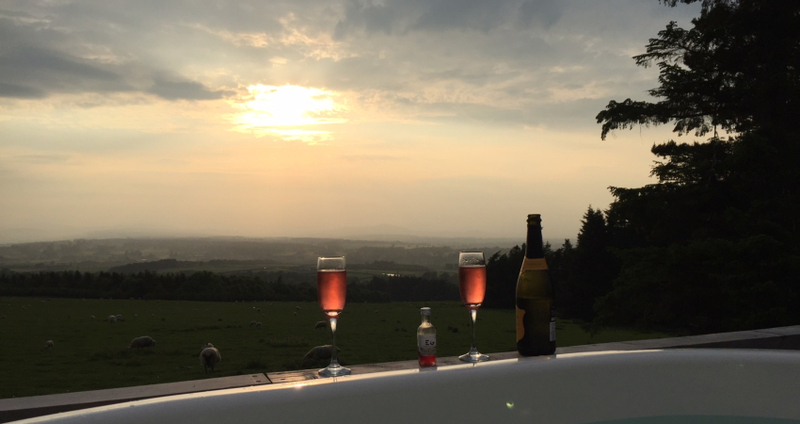 £155 per night, Friday & Saturday. 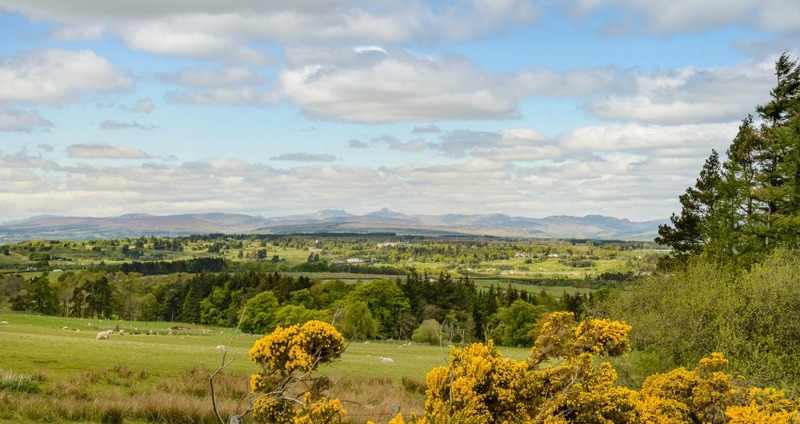 £130 per night Sunday to Thursday. 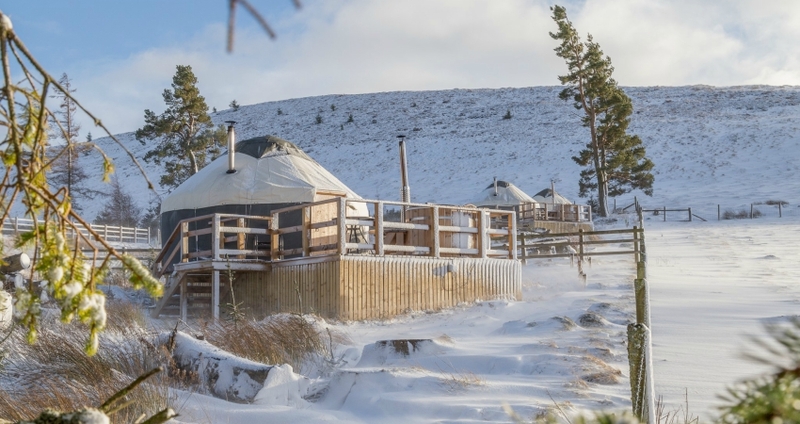 Minimum 2 night stay (3 nights minimum Christmas & New Year). 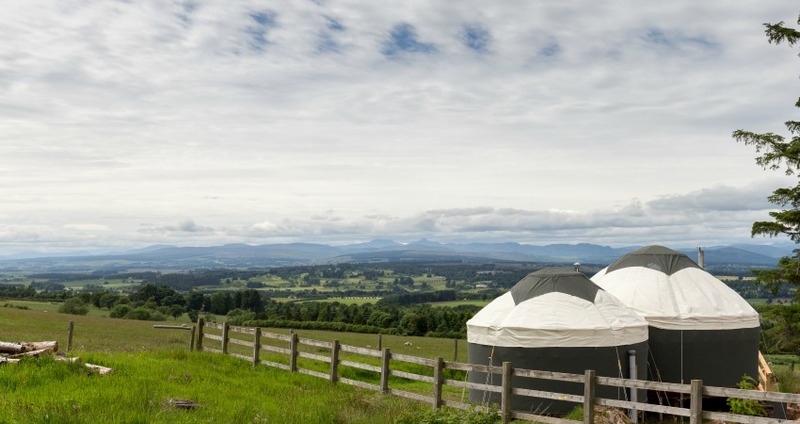 Alexander House is the perfect glamping retreat from the hustle and bustle of work and your daily life. 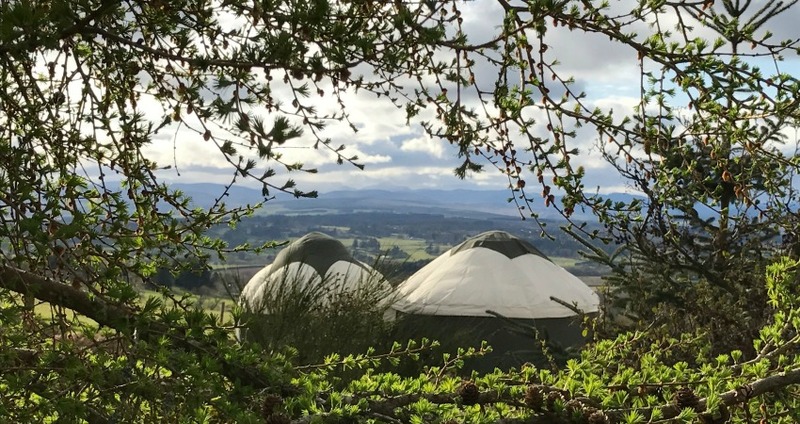 Unplug the laptop and switch off your phone and relax with a loved one in one of our two cosy Yurts - Bramble and Heather, or have fun with your wedding guests in our pop-up glamping Bell Tents. 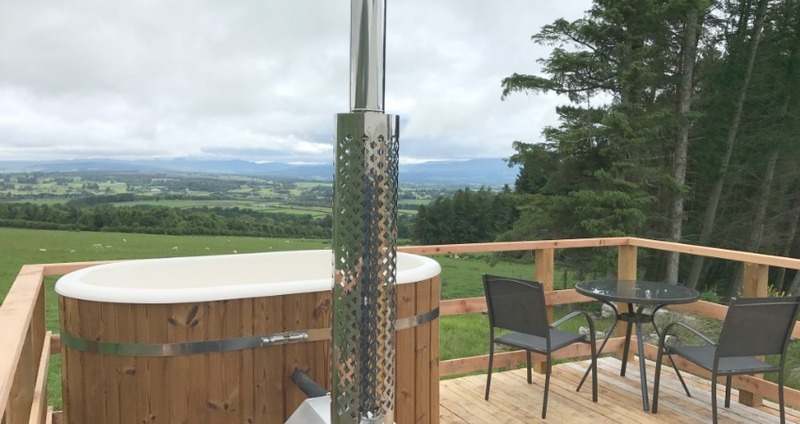 Simply soak in your wood-fired hot tub on the deck with a glass of fizz, then cook up a romantic meal for two on your cute stove top wood burner or enjoy a BBQ outdoors in the warmer summer months. 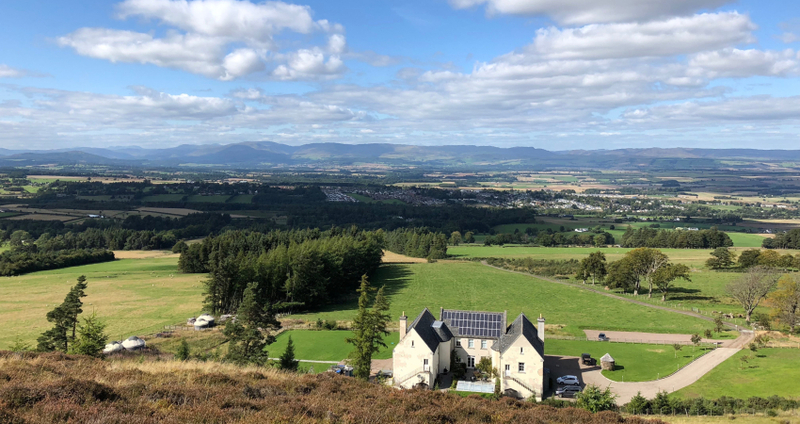 Our fabulous bell tents are available for your wedding, as extra guest accommodation, either on our lawns here at Alexander House, or at your own home (within a one hour drive of Auchterarder, requires suitable flat pitching ground). 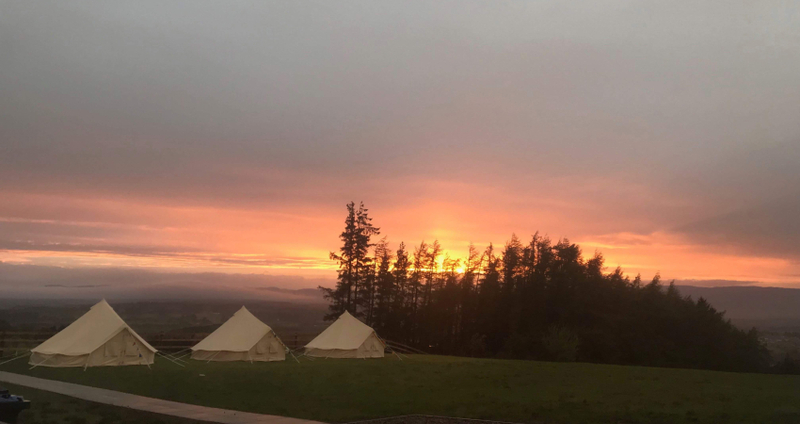 We also offer a pop-up Bell Tent Camp for 20 people (Summer 2019). 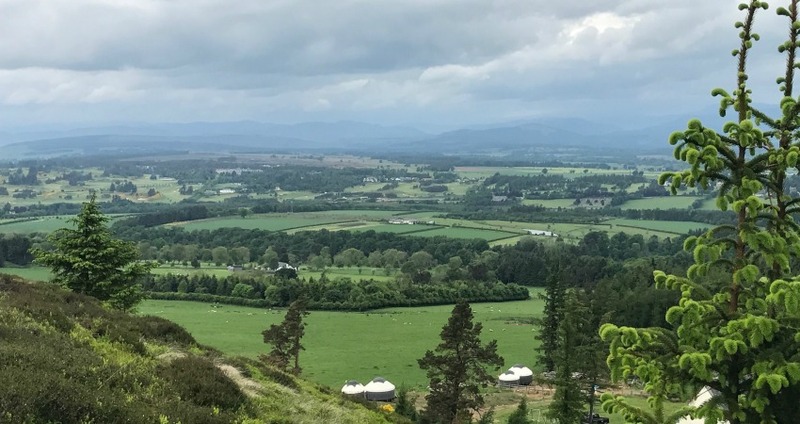 Tucked away in a cosy sheltered corner, with stunning views our two permanent Yurts have comfy king size beds with luxury crisp linens, marshmallow duvets and pillows. 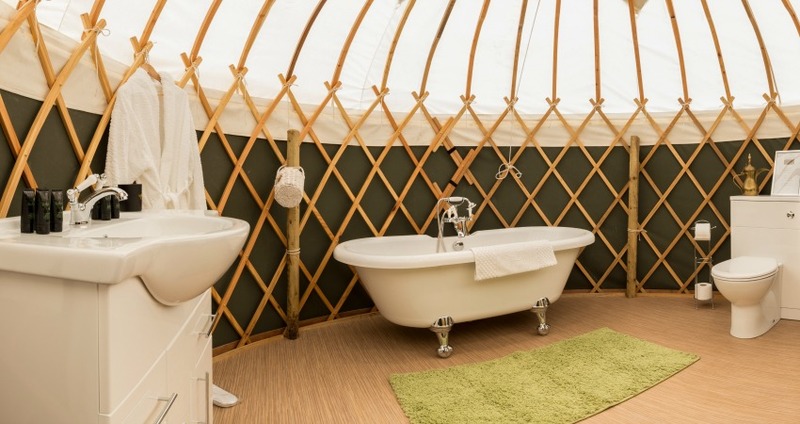 Each has a cute stove top wood burner and its own private en suite 12ft yurt bathroom with a roll top bath.